The death toll from a week of clashes in the city of Tripoli between supporters and opponents of Syria’s regime has risen to 13. The death toll from a week of clashes in Lebanon between supporters and opponents of Syria’s regime has risen to 13, a security official told AFP on Sunday. Two people died in clashes on Saturday and another two were killed early on Sunday in the northern port city of Tripoli, the official said, adding that scores more were wounded, including 16 in the past two days alone. Sunni and Alawite gunmen have been fighting since Monday in the Bab al-Tebbaneh and Jabal Mohsen districts of Tripoli, Lebanon’s second largest city. 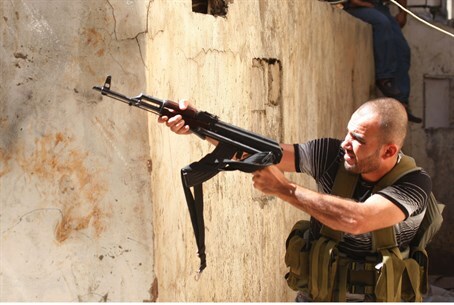 Until Saturday, six Sunnis and three Alawites had been killed in the latest bout of fighting which broke out on Monday. Residents of Bab al-Tebbaneh support the revolt against Syrian President Bashar Al-Assad, while those in Jabal Mohsen back Assad. They have fought frequently since the Syrian conflict erupted in March 2011. Tripoli is home to 200,000 people, 80 percent of whom are Sunni Muslims, 6-7 percent Alawites and the rest Christians. The former head of Saudi Arabia's General Intelligence Directorate warned this week of the increasing threat of civil war in Lebanon. "Lebanon is on the brink of civil war as Hezbollah continues to implement its own agenda without giving any consideration to law and order," Prince Turki Al-Faisal Al-Saud was said at a Washington DC lecture on U.S.-Arab relations. The sectarian clashes in Lebanon over the civil war in neighboring Syria have only increased since the Lebanon-based Hezbollah joined the fighting in Syria. Hezbollah has been accused of participating in the slaughter of Syrian civilians, as well as other war crimes. In August, at least 20 people were killed by a large explosion in the Hezbollah stronghold in Beirut. A month earlier, over 50 people were wounded when a car bomb exploded in the same area. The explosions in the Hezbollah stronghold were followed by two explosions which targeted Sunni mosques in Tripoli and killed 45 people.